Mowgli: Legend of the Jungle has had quite the road to the big screen. Originally developed in competition with Disney’s 2016 remake of the classic animated film, Mowgli was eventually pushed back multiple times and eventually sold to Netflix earlier this year. As a result, the film feels like it’s constantly living in the shadow of Jon Favreau’s film – no matter what it does to differentiate itself. Even two and a half years after the release of The Jungle Book, there’s a lingering feeling that Mowgli was just too little, too late. In many ways, Mowgli feels like it’s constantly trying to justify its own existence without ever actually doing so. Similarly, there’s not much new that the film brings to the table in terms of story. Right from the start, it’s clear that Mowgli is trying to bring a darker, more serious tone to the table. The whole point of doing this movie – at least according to its director, Andy Serkis – was to provide a deeper exploration of Rudyard Kipling’s novel. 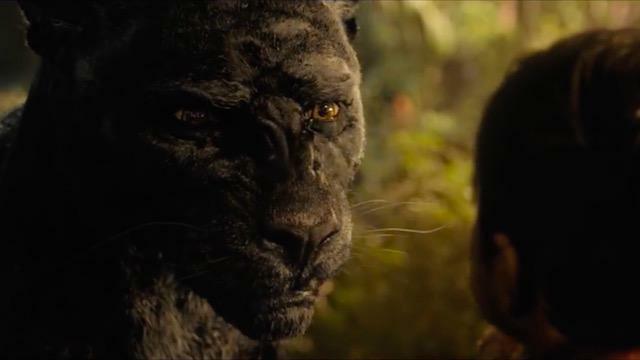 While Mowgli gives a valiant effort in providing a different interpretation, it ultimately fails to add anything meaningful into the mix. Written by Callie Kloves – the wife of Mowgli producer and Harry Potter screenwriter Steve Kloves – the film marks her screenwriting debut. While the editing is a whole other matter entirely, Kloves’ script is pretty solid. The movie takes its time to set up the character of Mowgli as an outcast who is torn between his human heritage and his upbringing as the man-cub. Overall, the first act is a really solid venture in terms of setting up the thematic journey of the character. When Mowgli’s journey actually begins however, the script fumbles the pay-off to everything that’s been set up to that point. There are certainly some heart wrenching character moments in the screenplay, but the character’s overall journey feels pretty much non-existent. As an acclaimed motion capture actor, Andy Serkis brings a surprising amount of baggage to his intended directorial debut. Although Mowgli is technically his second film to be released after Breathe, the former was actually shot first. As odd as it seems, Mowgli takes a lot of cues from fantasy movies like Lord of the Rings. While these two properties share similarities on the surface, the tone of this movie feels odd considering the source material. The Jungle Book is a story that is naturally cartoonish. But when you try to take the tone too seriously, there’s a lack of whimsy that makes the film feel devoid of any real personality. However misguided the tonal choices might be, the cast of Mowgli is impressive and even overwhelming at times. Quite honestly, the film should be applauded for resisting the urge the whitewash the casing of the eponymous character. A story like The Jungle Book is deeply rooted in Indian culture, and it’s really great that Mowgli manages to keep this element of the story in tact. Rohan Chand plays the man-cub this time around, giving a surprisingly nuanced and naturalistic performance. It’s hard for any actor that is so young to bring any kind of depth to the character. With that said, Chand manages to make Mowgli’s complex – even if his motivations are ultimately simplistic. With the exception of Benedict Cumberbatch’s predictable performance as Shere Kahn, most of the casting is equally as inspired. 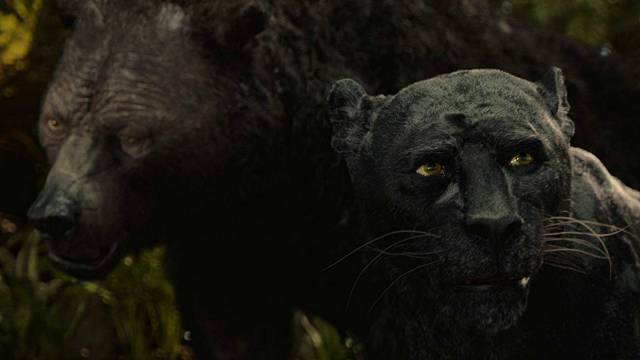 Particularly, Christian Bale’s turn as Bagheera the panther is one of the most impressive computer-generated performances in recent memory. For the most part, Bale has largely played emotionally closed-off characters. While the actor is largely known for his insane physical transformations, playing a role like this allows Bale to reach a level or vulnerability that we haven’t seen in the past. Especially when you compare it to the rest of the voice cast, Bale’s first motion-capture performance is easily the highlight. Rounding out the human cast are small supporting turns by Matthew Rhys and Freida Pinto, but they are largely underutilized like most of the motion capture cast. Editorially, Mowgli is kind of a mess. It’s hard say for sure if the movie was edited down after Netflix bought it, but it certainly feels like it. Always a good sign, the movie is bookended by weird narration from Cate Blanchett’s Kaa that adds absolutely nothing to the movie. While there are some really fluid and dynamic shots in the film, they are surrounded by cuts that diminish their effectiveness. As a whole, the transitions between are almost always jarring and ineffective. Moreover, there’s no real sense of geography or time passage from scene to scene to make Mowgli’s journey affecting. While longer doesn’t necessarily mean better, Mowgli carries the stench of a movie that was cut down significantly from its original version. Aside form the editing; the film is a technical marvel. Mowgli is quite a beautiful film, although in terms of cinematography it’s fairly dark and dreary. It’s certainly a more realistic interpretation of a lush digital landscape than we’ve seen before. On their own, the animals are equally impressive. The animation is often subtle and nuanced, but the real problem is when animals and humans share the frame together. For a film that is going for absolute realism with its interpretation of the characters, the texturing – especially on the characters with fur – feels slightly too exaggerated. It’s not that the effects aren’t believable; it’s just that they loose their efficiency when interacting with live-action elements. In terms of internal logic, the movie doesn’t make a whole lot of sense. This is mostly because it never really establishes the rules of how Mowgli is able to communicate with animals in the first place. For instance, the movie assumes the character knows how to understand animals that speak. But when humans try to communicate in the very same language to the character, he doesn’t seem to understand them. This isn’t a plot hole, but rather an assumption made on the part of the filmmakers that the audience wouldn’t question talking animals in their “ultra-realistic movie”. If Serkis and company were trying to sell this tale as one that could place in the real world, they should have paid more attention to the little details. While the film is certainly well intentioned, the suspension of disbelief is broken when the animals begin to talk. It’s unfortunate that the movie had to put an emphasis on being a dark and gritty take on book, rather than trying to just tell a good story. While the sheer acting prowess on display from the cast is impressive, the movie wastes most of the players involved. This ultimately leaves the lingering feeling that – while entertaining on a surface level – Mowgli is the movie that no one needed or really even wanted for that matter.